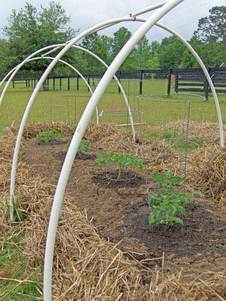 Add worms to your garden beds. Want to know how many worms it takes to inoculate your garden or lawn soil? 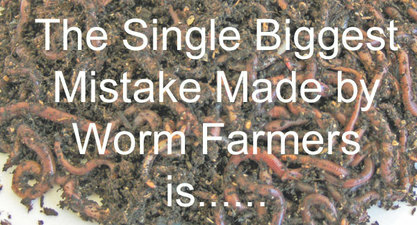 For soil improvement requires 10-12 earthworms per square foot; or, 1 pound earthworms per 1000 square foot. So, measure your garden area's length and width; multiply one by the other to get your square footage; multiply this figure by 10-12 (just make it 11). 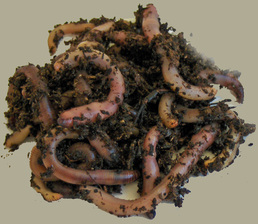 FYI: our European Nightcrawlers are fully matured bait sized worms and there are 250-300 of these worms per pound. Because they are burrowing earthworms, European night crawlers make beneficial residents for any garden plot. 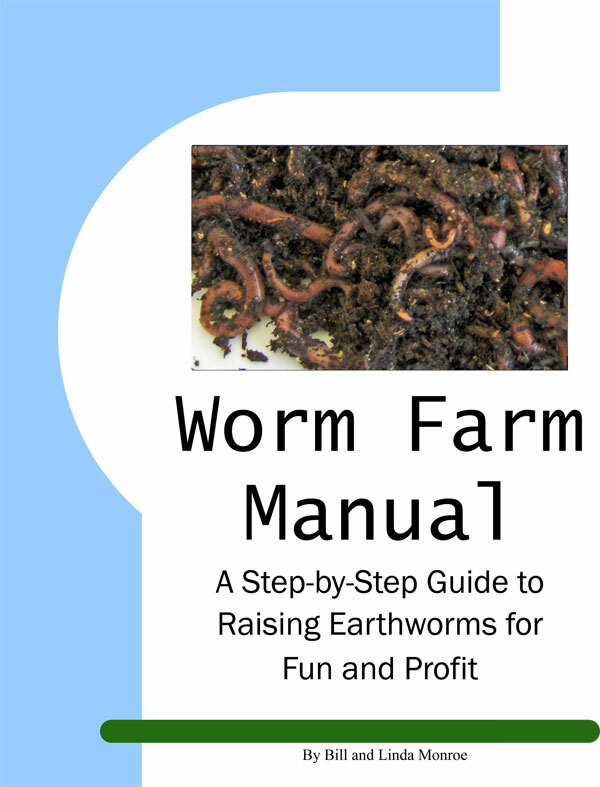 Calculate the amount of worms you need by using the above formula and add some of these earth "movers and shakers" to your garden soil or lawn today. 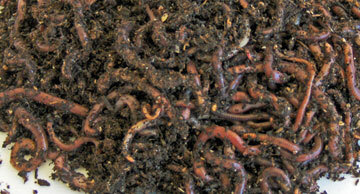 Vermicomposting is a great way to make your own fertilizer for your garden and plants. It's also good for the environment because organic material is returned to the soil rather than buried in a landfill. It's not rocket science, but there are a few important rules to follow if you're going to , number 1, not kill your worms and, number 2, make some great compost. Containers range from commercially available vermicomposting units to plastic totes you adapt yourself, or home-made wooden bins. Regardless of your choice, the container you use MUST provide aeration. The bedding should be a "sea" for the worms, allowing them to burrow freely. The bedding should allow oxygen flow, be lightweight, retain moisture, be non-toxic, and be easily digested. A good combination bedding is shredded newspaper or cardboard, loam and leaf mold. Like oxygen, moisture in the red worm’s environment is very important. The worm’s surface membrane uses moisture to absorb the oxygen required for their metabolism. Too much moisture creates anaerobic conditions and too little moisture causes the worms to die from dehydration. The ideal moisture content of the bedding is 50-60%. 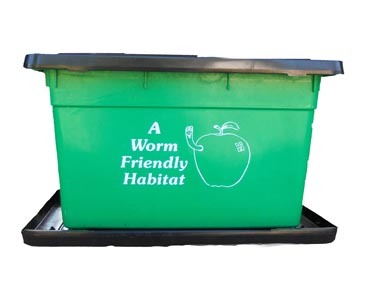 Provide for your worms what they prefer - cool, moist, low light conditions - and they will happily produce rich, organic fertilizer compost. 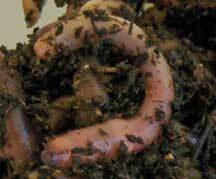 Worms need microbes to digest their food. Mix an ounce of VermaPlex in a quart spray bottle of non-chlorine. Spritz new bedding and as you add food for a healthier worm bin.